When we shipped the first “virgin coconut oil” from the Philippines into the U.S. back in 2001, there were only two other commercially available coconut oils being sold as edible oils in the U.S. market. Coconut oil was certainly not popular 13 years ago and there were few choices. 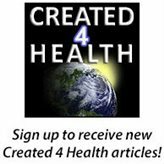 If you were using coconut oil as dietary oil back then, chances are you were getting your information about fats and oils from Dr. Mary Enig. Dr. Enig spoke up for saturated fats and condemned trans fats long before anyone else was blowing the whistle on the misinformation coming out of the U.S. edible oil industry. Many of her writings have been featured in the Weston A. Price Foundation publications over the years, and we have featured her research at CoconutOil.com as well. 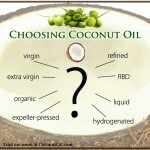 Today, one has a plethora of choices when it comes to purchasing coconut oil. So what I am going to do in this article is give you an insider view of the current market. Not all coconut oils are produced the same way and the type of coconut oil you purchase will depend on what you plan to do with it. 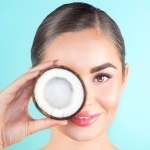 But first, in order to make an intelligent decision about which coconut oil best suits your needs, you need to understand what is currently on the market, and how they differ. There are two broad categories of coconut oils: those that are mass produced at an industrial level and need to be refined, and those that start with fresh coconut and have much less refining. Yes, you read that correctly, less refining. Coconut oil by nature is a refined product, because oil does not grow on a tree. Coconuts do. All coconut oils have to be extracted from the whole coconut, therefore technically speaking, the only truly “unrefined” coconut oil you can consume is the oil still inside the coconut meat from a fresh coconut just picked off the tree. The term that is used for the least refined coconut oils is “virgin coconut oil.” Using similar terminology as is used with other edible oils, the term “virgin” was used with coconut oil back in the early 2000s to designate the least refined coconut oils in the market. 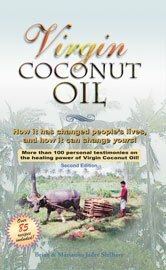 The definition for “virgin” coconut oil was originally developed in an Internet discussion group we hosted, and various people had input into the definition, including industry insiders, academic leaders, and others. The definition we all agreed upon at that time, was that “virgin” coconut oils would be coconut oils produced without dried “copra” as its starting point. “Copra” is an industry-defined term used in the Philippines to refer to dried coconut that has been removed from the coconut shell, but which by itself is inedible and needs to be further refined to produce coconut oil. Copra can be produced in several ways, including smoke drying, sun drying, or kiln drying, or derivatives or a combination of any of these methods. The one thing they have in common, is that the product at that point is not suitable for consumption and must be further refined. It’s smokey, it’s dirty – it’s certainly nothing that resembles a food when it is in the form of copra. Copra is a kind of commodity, with its own market price, separate from coconuts, or coconut oil (the finished product). There are traders and dealers of copra in coconut producing countries, and they sell their copra to coconut oil manufacturing plants. Copra is even exported to countries like the U.S., where it is further refined for industrial uses. 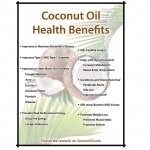 So let’s look at the kinds of refined coconut oils that are currently available in the market place. Refined RBD coconut oil is a liquid in tropical climates, and can be transported in tanker trucks. Photo by Brian Shilhavy. In the coconut producing countries, these copra-based refined coconut oils are usually referred to as “RBD coconut oils.” RBD stands for: refined, bleached, deodorized. The “bleaching” is generally not a chemical process, but rather a filter process to remove impurities. A “bleaching clay” is used for this filtering. Steam is used to deodorize the oil, since the starting point was copra. So the resulting product has a very bland taste, with little or no odor. One of the misconceptions propagated on the Internet is that only virgin coconut oils are healthy, while refined coconut oils are not, and that they actually might be harmful. This is generally untrue, with a couple of exceptions that I will explain below. These RBD coconut oils have been in the market for many years now, and are the primary dietary oils consumed by billions of people in tropical climates around the world. The RBD refining process does nothing to alter the fatty acid profile of coconut oil, so all the medium chain fatty acids are kept intact. 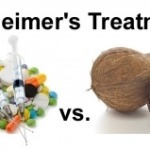 What the refining process does do, however, is strip away some of the nutrients. Virgin coconut oils are tested higher in antioxidants, for example. But this fact does not make RBD refined coconut oils “unhealthy”. Expeller-pressed Coconut Oils: These are typically RBD coconut oils produced in tropical countries through mechanical “physical refining” from copra. Physical refining is considered “cleaner” than chemical refining that uses solvent extracts like “hexane”. Coconut Oil: If no description is given and just the plain term “coconut oil” is used, it is probably an RBD coconut oil. It should be noted that copra is a product that is exported to the United States, where companies refine it into non-edible uses. 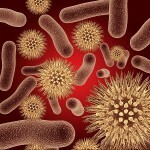 Cleaning products and detergents are a common use, for example. Now, with the rise of popularity of coconut oil as an edible oil again, some of these large U.S. manufacturing companies are beginning to package coconut oil as an edible oil. These cheaper oils are more than likely mass produced with solvent extracts. We are not aware if any of these solvents remain in the finished product, but if you want to be sure, try to purchase a refined coconut oil that has been refined without them. Hydrogenated Coconut Oil: This is the one refined coconut oil you want to stay away from as an edible oil. The small portion of unsaturated fatty acids are hydrogenated, creating some trans fats. It also keeps coconut oil solid at higher temperatures. We are not aware of such a product in the U.S. edible oil market at this time. If it exists as a product, it is probably going to be as an ingredient in the confection industry in tropical climates. Standard RBD coconut oil remains solid up to 76 degrees F., and the ambient air temperature is higher than that in the tropics most of the time. 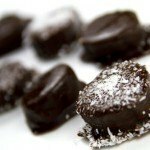 So to keep coconut oil solid at higher temperatures, they hydrogenate it before putting it into candies or baked goods, or making into margarines. Liquid Coconut Oil: A new product that appeared in stores as an edible oil in 2013 was “liquid coconut oil” that is promoted as “coconut oil that stays liquid even in your refrigerator”. It may be a new label and a new item in the edible oil section, but the product is not new at all. It is “fractionated coconut oil” that has had lauric acid removed. It is also referred to as “MCT oil”. 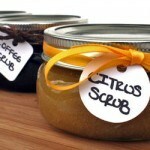 It has typically been used in the past in skin care products, and more recently as a dietary supplement. It is a refined product that is now marketed as an edible oil. It is actually a by-product from the lauric acid industry. 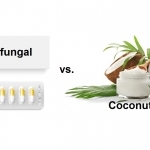 Lauric acid from coconut oil is known as a strong antimicrobial component, and therefore used as a preservative in many commercial applications. 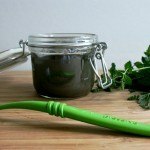 Being a saturated fatty acid, and comprising about 50% of coconut oil, once it is removed you are left with a liquid oil with a much lower melting point. So if you see this product online or in a store, just be aware that it is a highly refined product, and that it is missing coconut oil’s star component: lauric acid. More info here. Let’s now turn to “virgin coconut oils”. As I mentioned above, the common denominator that should exist in all virgin coconut oils is that they start with fresh coconut and not copra. However, there is no worldwide certification body that determines or certifies coconut oils as “virgin”, so anybody can use the term and put it on a label if they so choose. The first thing to investigate when choosing a virgin coconut oil, is whether or not it is actually a copra-based coconut oil or not. If it does use copra as its starting point, it really is not a true virgin coconut oil, but an industry standard RBD refined coconut oil with a clever label. A common title or term used is “extra virgin coconut oil”. So what is the difference between “virgin” and “extra-virgin” coconut oil? Nothing. There are no commonly understood or accepted definitions for “extra” virgin coconut oil, as there are in the olive oil industry. It is simply a marketing term and nothing else. 1. 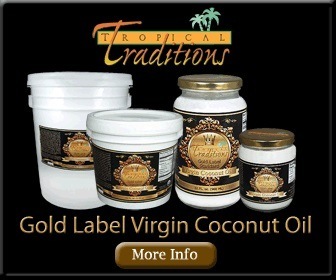 Virgin coconut oil derived from pressing the oil out of dried coconut. In this method, the fresh coconut meat is dried first, and then later the oil is pressed out of the coconut. 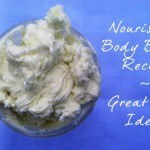 This method allows for easier mass production of virgin coconut oil. Since the dried coconut (desiccated coconut) industry is well established in coconut producing countries, many of these industries have added virgin coconut oil to their product line. This is the most common type of “virgin” or “extra virgin” coconut oil that you will find online and in stores today. It is mass-produced, but it is a higher quality oil than RBD coconut oil, as it starts with fresh coconut and not copra. 2. Virgin coconut oil derived through a “wet-milling” process. With this method, the oil is extracted from fresh coconut meat without drying the coconut meat first. “Coconut milk” is expressed first by pressing it out of the wet coconut meat. The oil is then further separated from the water. Methods which can be used to separate the oil from the water include boiling, fermentation, refrigeration, enzymes, and mechanical centrifuge. We are very fortunate today that the coconut oil producing countries have done quite a bit of research on virgin coconut oils over the past several years. They have begun to wake up to the fact that Western advice on dietary oils, which has led to the demonization of their traditional fats and oils like coconut oil, has been primarily political in nature, rather than scientific. 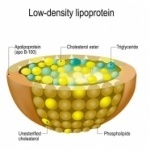 Much of their research in recent years has been in the area of cholesterol and heart disease, since this is the main point of attack from Western countries. They have learned that their traditional fats and oils are actually healthier than the newer expeller-pressed seed oils from soy and corn, two crops heavily subsidized by the U.S. government which keeps prices artificially low. 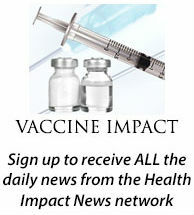 We feature much of this research on our peer-reviewed research page at CoconutOil.com. 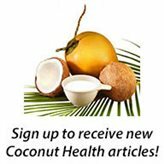 This research has confirmed that not only does virgin coconut oil NOT affect cholesterol levels negatively, but that it affects them positively. 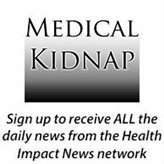 For more on this topic, see: Coconut Oil is Beneficial for Your Heart: Shining the Truth on Mainstream Media’s Negative Attacks Against Coconut Oil. Researchers from universities in the Philippines, Malaysia, Sri Lanka, and India have looked at various methods of producing coconut oil. In the beginning, it was difficult to determine what could be measured in a laboratory to determine if virgin coconut oil was indeed superior to regular RBD refined coconut oils. They soon discovered that the one characteristic that could be measured, and that was significantly higher in virgin coconut oils than RBD refined coconut oils, was the level of antioxidants. Antioxidants were found to be much higher in the virgin coconut oils, especially those produced by the wet-milling method, as described above. The “wet-milling” process of producing virgin coconut oil, as explained above, extracts the coconut oil from a wet emulsion, or “coconut milk”. 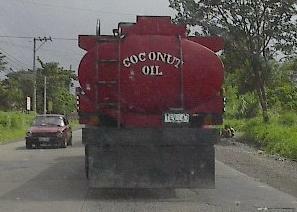 It does not press the oil out of dried coconut. 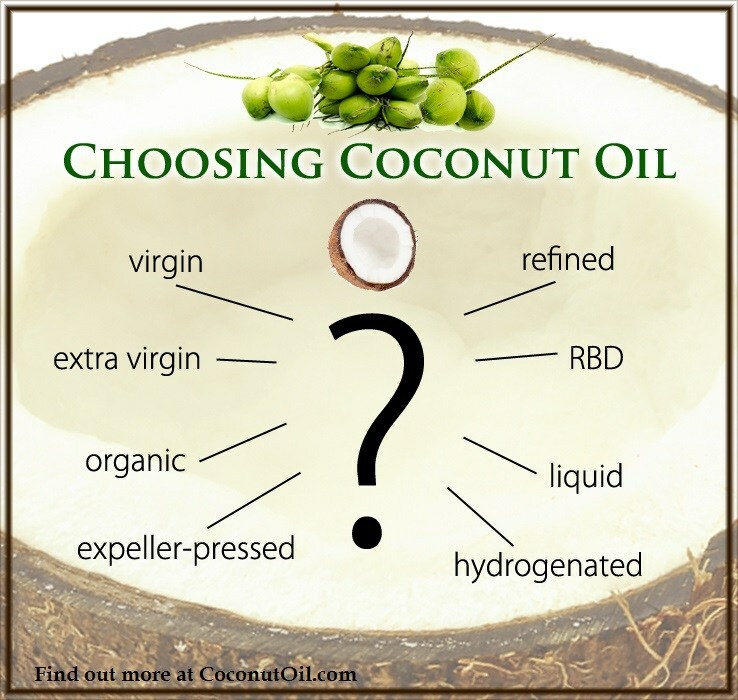 So which wet-milling process produces the highest quality virgin coconut oil? According to several studies, the fermentation wet-milling process, which uses heat, produces the highest levels of antioxidants in virgin coconut oil. The fermentation process is a simple technique of extracting coconut oil, much as has been done in people’s kitchens in tropical climates for hundreds of years. During the fermentation process, a coconut milk emulsion is made from freshly grated coconut. Then the coconut milk is allowed to sit and ferment for a period of time, usually overnight. The heavier water sinks to the bottom of the container, leaving a crystal clear layer of oil on top, along with some coconut solids. This oil is then scooped out and put into a pan, like a large wok, and heated for a period of time until the coconut solids fall to the bottom of the pan. It is then filtered. In 2011, studies conducted in Sri Lanka by Professor Kapila Seneviratne of the University of Kelaniya also showed that traditionally made wet-milling virgin coconut oils have the highest levels of antioxidants. What was surprising in this study, was the discovery that high levels of heat actually increased the amount of antioxidants in the coconut oils. This was surprising because there was a misunderstanding that heat supposedly was detrimental to coconut oil processing, as many virgin coconut oils in the market were claiming they were “raw” or “cold pressed” and did not use any heat. More surprises awaited the research team. The general impression is that cooking at high temperatures would degrade the quality of the oil. In 2013, another study conducted in India also showed that virgin coconut oils produced by wet-milling and using heat produce higher levels of antioxidants. The study compared “cold extracted virgin coconut oil” (CEVCO) with “hot extracted virgin coconut oil” (HEVCO) and standard refined coconut oil (CCO) and was published in the journal Food Science and Biotechnology. The increased polyphenol level in the HEVCO group may be due to increased release of bound polyphenols by heating. Coconut milk is an emulsion of oil and water that is stabilized by protein. The abstract of the study is here. So virgin coconut oils produced by wet-milling and being marketed as “no heat” or “raw” or “cold-pressed” are actually virgin coconut oils with lower levels of antioxidants, according to this body of research. So now that we have examined the various kinds of coconut oils on the market, one last point to consider is: what about organic? Obviously, any claim to organic standards, and inspected by a third party inspector, is a bonus. But is it necessary? Probably not. There are no GMO varieties of coconuts, and there are very few pesticides used on coconut trees, although some do exist. 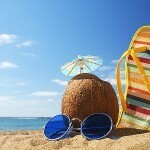 Coconuts grow very high up in the air, however, so they are never sprayed. Any pesticide that might be used will probably be added to the soil around it to be absorbed by the roots, or injected directly into the sap through the trunk of the tree. Organic certification is a costly process, and if you limit yourself to only certified organic coconut oils, you might be missing out on some of the best coconut oils available that have not gone through the costly organic certification process. For example, keeping in mind that the traditional fermentation method as described above has been shown to contain the highest levels of antioxidants in wet-milled virgin coconut oils, which type of virgin coconut oil would you prefer to consume if you were visiting a tropical area: a certified organic virgin coconut oil pressed out of dried coconut available in the store, or one you can make in your own kitchen from fresh coconuts, but which will obviously not be certified organic? According to the research, the one you make yourself in your kitchen from fresh coconuts is superior! As you examine your choices for coconut oil in the market today, your choice will largely be determined by how you intend to use the oil, and your budget. If you want the highest quality virgin coconut oil possible, this chart summarizes what is currently available in the market and rated on a scale of 1 to 10. Don’t expect to find these kinds of details about coconut oil printed on their labels, however. It is also unlikely that people working in retail grocery stores will know how to answer specific questions about production methods. So do your research online first, and ask the vendors directly for the kind of information you need to make an informed decision about your purchase. 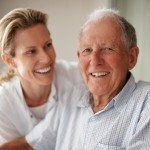 They should be able to check with their suppliers and find the answers for you. Wet milled fermentation Gold Label Virgin Coconut Oil.